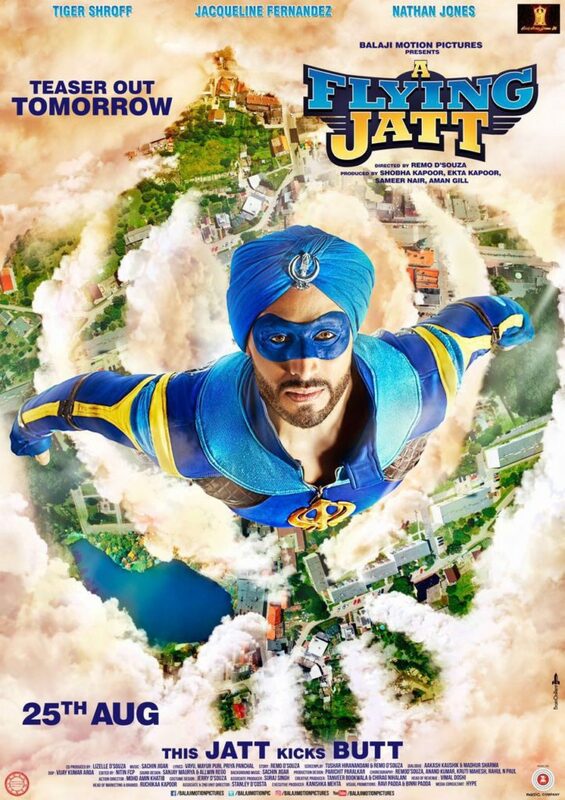 Sushant Singh Rajput’s ‘M.S Dhoni’ and Tiger Shroff’s ‘A Flying Jatt’ posters have released today. These two are the year’s much anticipated movies. And we’re only curious to know what people’s reaction to them were. 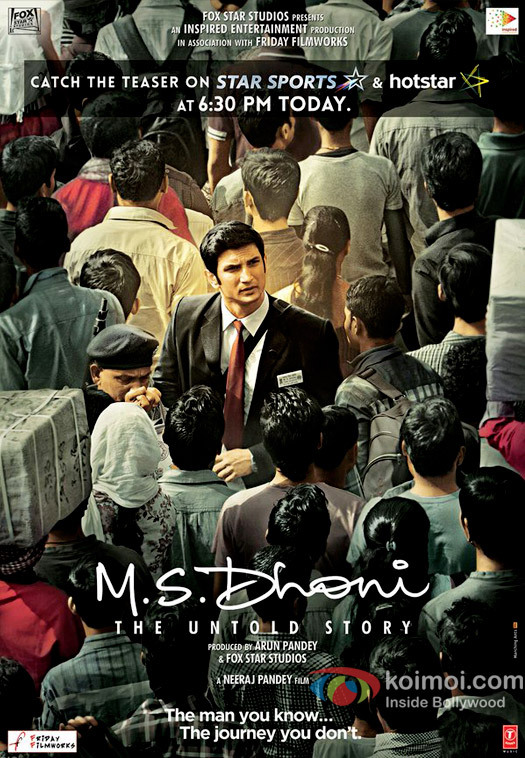 M.S Dhoni – The Untold Story has released its poster and it looks nothing less than impressive. 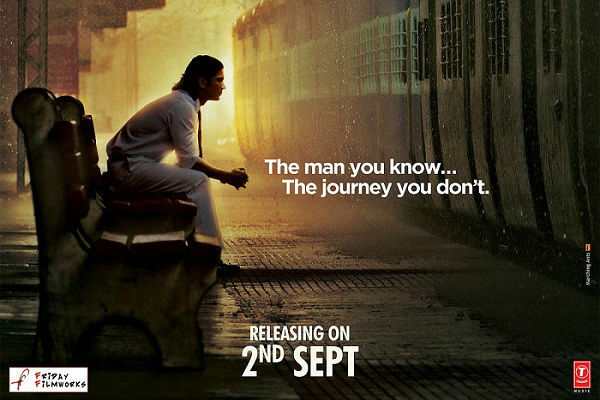 What catches attention is its tag “The man you know…the journey you don’t”. Now how simply put is that! 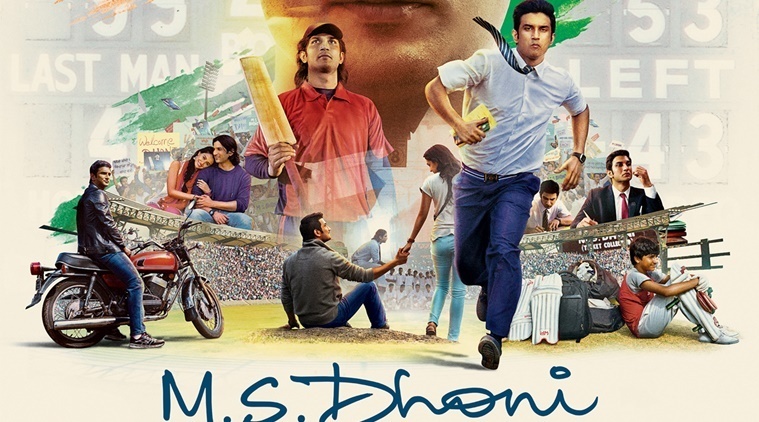 What we also like about the poster is how S Dhoni’s journey is superimposed on Sushant’s face. 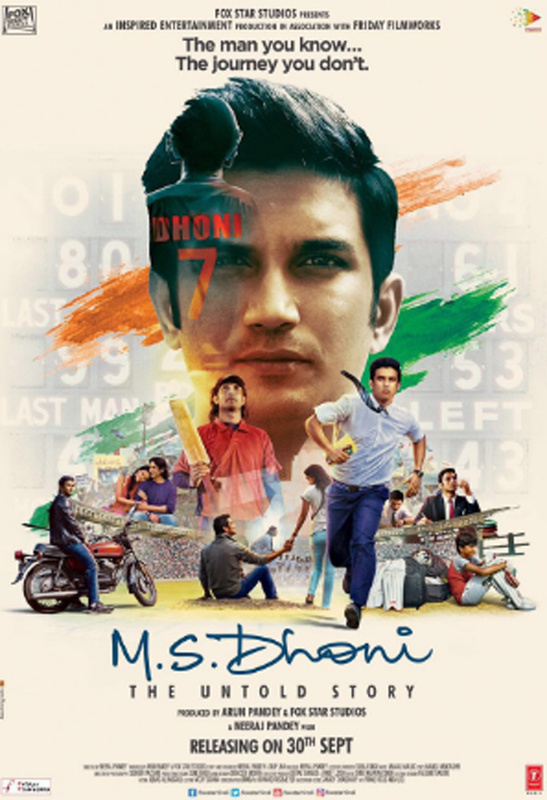 Not to forget, their official teaser release too, has made us all curious to watch this Captain Cool inspired film. It has everything that the poster talks about and a tad it more, but just in a motion. No wonder it’s called a “teaser”. Sushant’s serious and steady gaze and the tricolor unfurls in the background adds more drama to the It could not get any better than this! 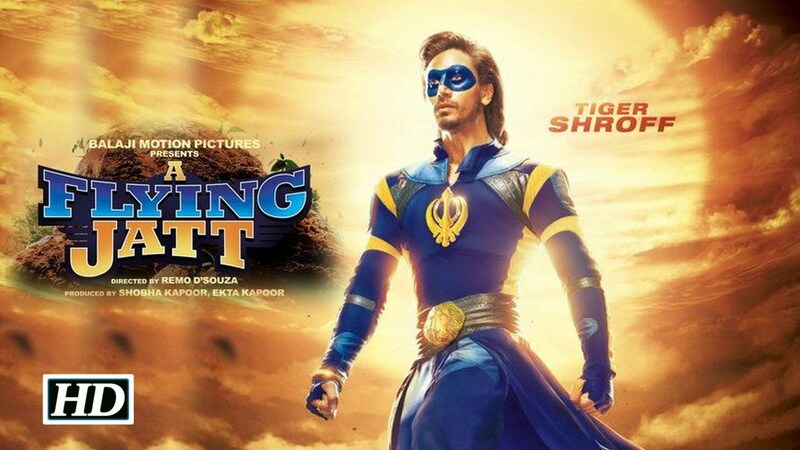 ‘A Flying Jatt’ released its poster today with a buffed and bearded Tiger Shroff. Well…..Nevermind. LOL! 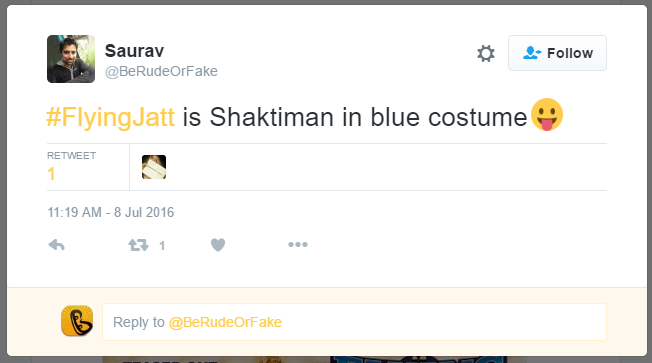 A flying Tiger Shroff looks like Shaktiman in a blue costume….that’s what he said. Gone are the days when Hrithik Roshan was our desi superhero. Now, a masked Tiger Shroff is at our rescue (is what is seen in the poster). The makers of this film also released a motion poster. But….nah! Still doesn’t look catchy. Sorry not sorry! But hey! 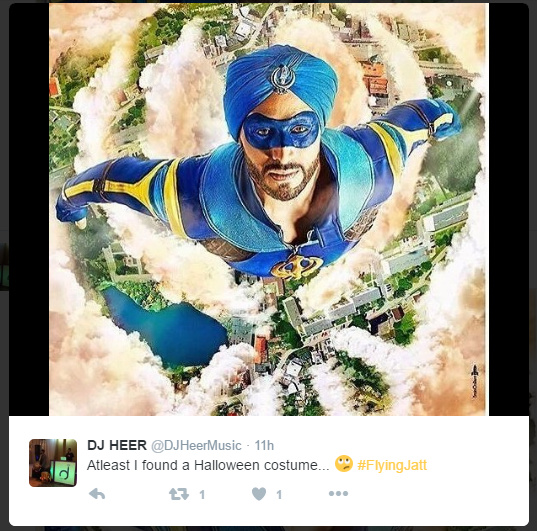 Don’t feel disappointed, at least the poster gave you a Halloween costume idea! Our wait for both the movies is so real. We. Can’t. Even!